I threw popcorn at a child the other day. I was at a theatre, positively loving a movie, and this whiny fellow behind me kept kicking at my chair while plaintively lamenting his boredom loudly to his mother. I’m not proud of it, but after glaring failed, I had to do something. After all he was ruining my perfectly incredible cartoon. 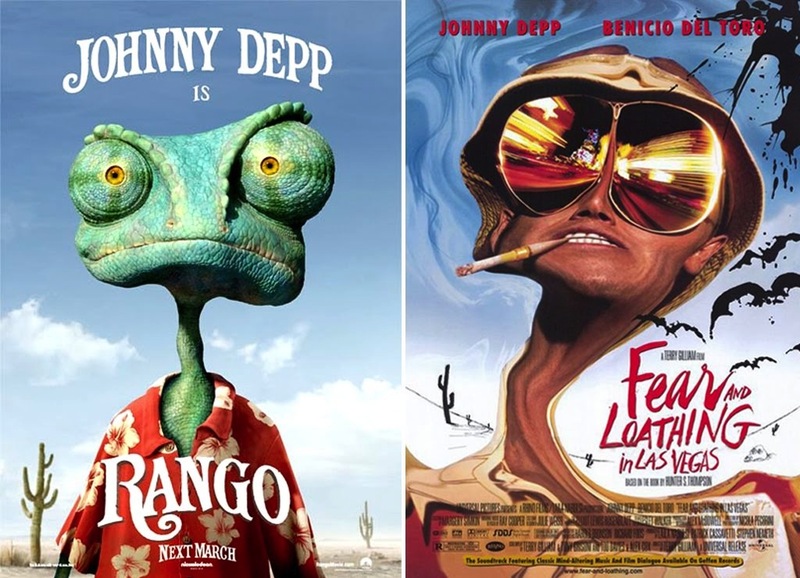 And yes, Rango was mine, not his. Gore Verbinski’s fantastically ugly lovesong to the spaghetti Western is a decidedly grown up film — one with a gonzo screenplay, a homely hero and much repugnance shot lovingly in tight close-up. The film’s texture is gorgeous, Hans Zimmer cuts loose to energetically doff his hat to Ennio Morricone while Johnny Depp creates a protagonist clearly descended from Bugs Bunny. It’s freaking incredible, and it’s also likely to bore kids too young to know Hunter S Thompson. It is a growing tribe, this: animated films that wear grown-up clothes and refuse to let the genre be dictated by the medium. Wes Anderson’s The Fantastic Mr Fox, for example, used the word “cuss” wherever they’d have actually used a cuss-word — “get the cuss out of here,” and so on — and was loaded with mature subtext, while the lyricism of Sylvain Chomet’s luscious films (L’Illusioniste, Les Triplettes De Belleville) and anything by Miyazaki, the master, is completely lost on kids. Henry Selick’s been doing it for years. And never should one forget Uncle Walt’s pioneering Fantasia, a magnificent marriage of classical music and surreal choreography. It bombed, though. Which is why, even today, that masterpiece-churning behemoth Pixar straddles both mature themes and plush-toy viability, sometimes to compromised effect. Up, with its heartbreaking romantic montages, was magical and sublime, till a dog started talking and a sincerely marvellous film turned into yet another rollicking actioner. A blast, sure, but so much less special than it should have been. 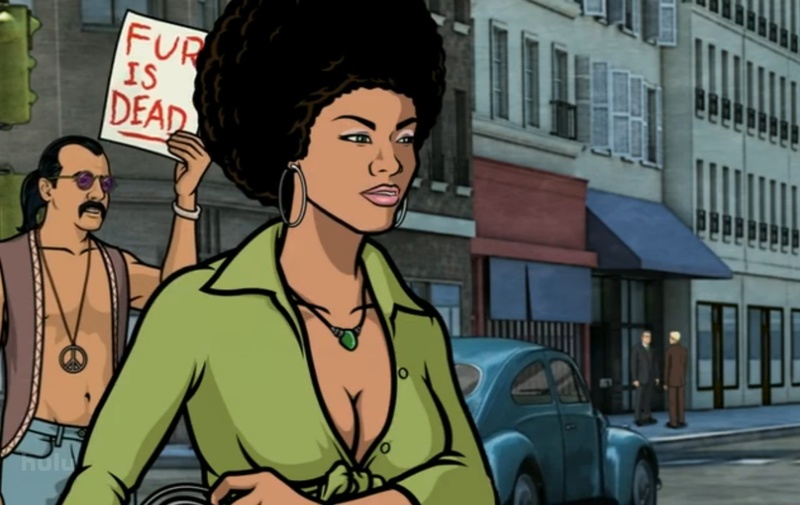 Lana Kane from Archer: The hottest woman on television today -- and yes, that includes Christina Hendricks from Mad Men. What these live-action filmmakers are doing now though is bringing mature themes to the animated mainstream. There’s still a viable sheen to the product — while liberating, animation is both immensely expensive and time-consuming — but the scripts are definitely looking beyond the Happy Meal crowd. The craft is being turned more cinematic; iconic cinematographer Roger Deakins left the side of Joel and Ethan Coen to work on the Rango visuals and make them as Western as his True Grit. With time, we’ll see big-budget and completely grown-up films, proper dramas and romances and actioners and biopics. And Hollywood’s summer releases won’t have to worry about actors looking older. So yeah, we’re taking animation now. Tough luck, kids. You really shouldn’t have messed with our vampires.